PLEASE READ FULL PROFILE BEFORE APPLYING and INCLUDE LENGTH OF STAY APPLYING FOR, DATES AVAILABLE AND SOMETHING ABOUT YOURSELF. We (myself, JJ and my partner Richard) have two very lovely and unique properties where we grow food and practice permaculture principles and sustainable living. Our urban property is right next to the beach on Sydney's northern beaches. It is a largish property which we are working at transforming into a lush abundant permaculture sanctuary. Here we have chickens, a great vegie patch, a big aquaponics set up in a converted swimming pool, a subtropical food forest, 3 european bee hives (warre style) and 3 native bee hives and are moving soon onto creation of the wild orchard and bush tucker native nibbledom and nectary! Located about 3 hours south of Sydney is a much bigger property, which we call Winderong Farm. 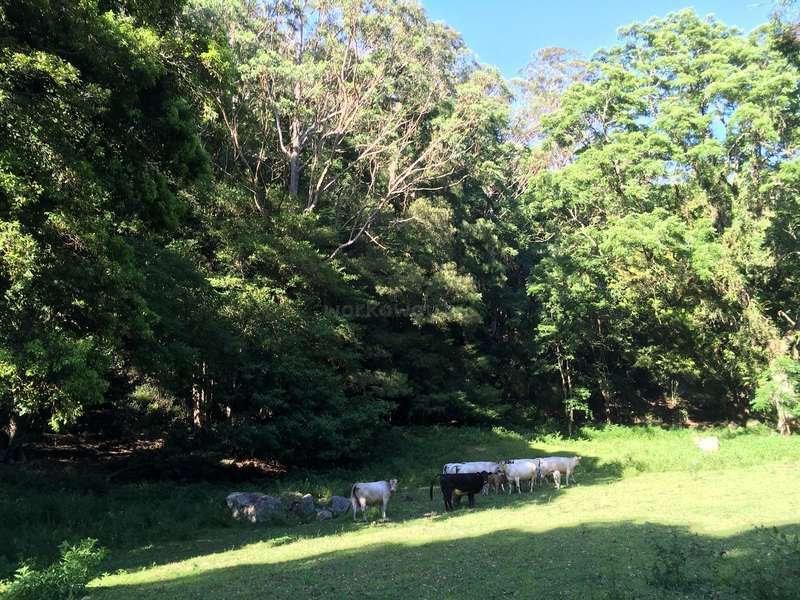 It is a working farm which we have recently purchased, with cattle, sheep, horses and chooks. So some new things for us with some big learning curves, which we are super excited about. We also have an abundance of space to grow veggies, fruit trees, bush tucker and nuts. This place is huge, with lots of room for farming alongside really beautiful wilderness. 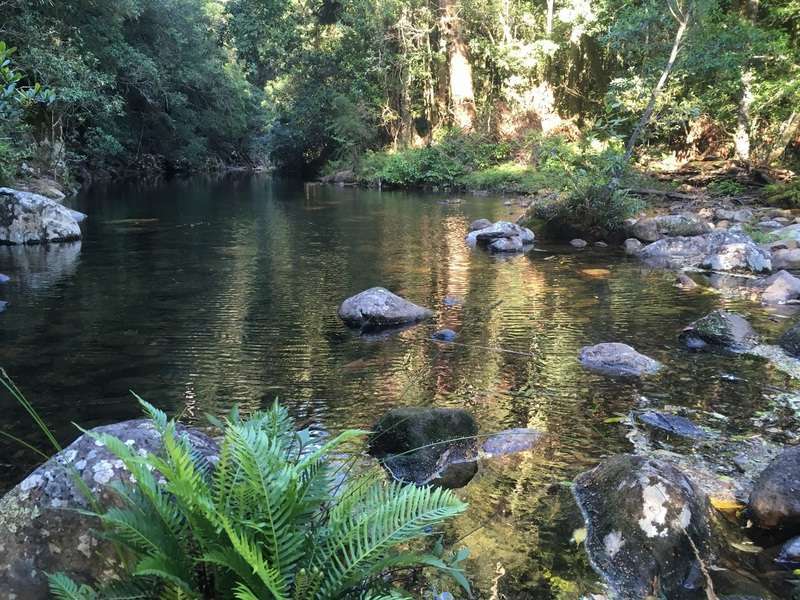 There is a magnificent fresh creek running through the centre of the property coming out of the National Park which supplies our drinking water and lots of lovely spots for swimming. We host workawayers at both places, usually between 2 and 4 people stay at each place along with us. We cannot be in both places at once so we love to host people who are reliable and responsible and can take on tasks without always being supervised. All going well, you can choose to be at one property or the other or spend time at both. We generally transport people between the properties. We are easy going people, don't watch much TV, don't smoke or drink. We ONLY take helpers who are happy with NOT smoking or drinking while they stay with us. We have a strictly NO DRUG policy in both places. Any breech of this and you will be required to leave the property. We eat very healthily, non-processed, food, with lots of vegetables and only happy humane animal protein. We grow a lot of our own food and purchase other food from organic sources. We prefer helpers who eat in a similar way or are happy to help prepare this kind of food. A lot of travellers enjoy our lifestyle. They realise how easy it is to grow your own food, to live healthily and more sustainably. Many also begin to learn to surf or improve their surfing abilities. Those who are interested in preserving food and fermenting will learn a lot as will those who just want to learn to eat more healthily. In Kangaroo Valley you have the opportunity for lots of bushwalking, star gazing (no light pollution), bird watching, native animal spotting and generally enjoying a beautiful piece of very peaceful wilderness. In Sydney, we have three rooms available, two with a view of the sea. One of the rooms has its own bathroom and small kitchenette. This is reserved for helpers staying 6 months or longer. The house is big and there are usually 5 or 6 of us living here. It looks out over the best beach in Sydney and we have surfboards and body boards you can borrow, along with our bicycles. We are a 3 minute walk to the bus stop for catching buses into the city. We have good internet access but it is only available between 7:30am and 9pm. In Kangaroo Valley we have rooms in a shared house, a "Glamping tent" and a "glamping bus"! It is has some fun aspects, as there is only a wood stove for cooking and hot water for showers, so you need to do keep the wood stove going to eat and wash! We are looking for helpers who are genuinely interested in a healthy lifestyle, particularly permaculture and are enthusiastic about growing their own food or raising their own animals. We are happy to host people who are reliable, self responsible, ask questions, take notes, remember to do their tasks without being reminded, take initiative and get really involved with the projects going on at our properties. You need to be happy to get your hands dirty (clean up animal manure, dig in the worm farm etc) and are easy going and friendly. We prefer NOT to host people who just want to treat our house like a hotel and go sight seeing the whole time! Christie was a great workawayer. She stayed with us for 4 and a half months. During that time she learnt and did many tasks she did not have previous experience with. She is easy to get along with, follows instructions well and is very reliable. She ended up taking a leadership role and showing other workawayers what to do. She is particulalry… read more safety aware and makes sure that others follow proper safety procedures - very handy! Simon is one of the most enthusiastic and energetic workawayers that I have ever hosted. He is super polite, obliging, always asking what he can do to help. He has a lot of skills, gets along well with most people, is a great cook and listens well and follows instructions. I would highly recommend him.....just make sure you have plenty of jobs for… read more him! Jo and Lauren are very sweet. They seem a little shy when you first meet them, but they warm up after a while. They follow instructions well and are capable workers. They really love to hike and so were really useful exploring our large property at Kangaroo Valley and using mapping to help us understand it. They are good cleaners and keep things… read more well organised. They are good at remembering what has been asked of them. They are also great with animals. I would definitely recommend this host! My sister and I had such a wonderful stay with JJ and Richard. They are very generous and warmhearted people and we really enjoyed getting to know them and the other workawayers staying there. I miss them already! Jo and I were among the first workawayers to work at their Kangaroo Valley property, which was… read more amazing. The valley is so beautiful. If you’re looking to get away from big cities, this is definitely a good choice for you —there are plenty of places to explore! A big thank you to JJ and Richard, staying with you was truly a highlight of our trip so far. Agnete was really great to host as she was super enthusiastic about learning things. She asked good questions and took notes. While she was with us she would then further research things and come back with some more questions and suggestions or ideas which were really helpful. She was great at following instructions, happy with any tasks and did… read more extra work sewing beautiful swag veggie bags for storing veggies in the fridge - most of that sewing done during her personal time. Each time we use them we think of her! One word of fore-warning, Agnete likes everything to be really clean and hygienic! Our household is sometimes a bit rough on this sometimes, so Agnete helped us get a bit better at this! At first this was a bit challenging for us, but we got used to her ways and came to appreciate her "clean freak" side! No one has ever done such good after dinner cleanups as Agnete! Just in case you are age-prejudiced, don't be! Agnete is a very young 50+ year person. She is young at heart and very energetic. Deb stayed with us for 3 months. She was an excellent helper! Deb was wonderful at taking any new helpers under her wing and showing them the ropes. Without being prompted she made sure everyone understood how things worked, where things were and what the usual procedures were. She was all round great and reliable at doing her allocated tasks, as… read more well as going the extra mile. She spent more time fishing (and actually catching fish!) in our pool than anyone else has, by a long way! She prepared delicious meals, tidied up well after herself, did extra cleaning and was generally very pleasant to live with! Deb has a really wide range of skills from administrative skills and people management to taking care of chickens and making bricks or soil blocks.....and of course fish whispering! Thanks Deb, happy to have you back any time! Highly recommended! I stayed with JJ & Richard for 3 months over the Sydney 'winter' and thoroughly enjoyed every minute. Looking back on the experience I realise how much we did and how much I've learned. Work was varied - and never felt like work at all, the food was so yummy and it was always a challenge of how to cook those prolific seasonal… read more Chila Cayotes (in joke)! JJ & Richard are authentic, genuine, generous people who show by their actions how permaculture can work so beautifully. Give at least a couple of months to this placement, you won't regret it. Nathan and Kirsty were a really great couple to host. They are both ready, willing workers, happy to tackle any task. They have a great skill set and often came up with good ideas about how to do things better. They are very easy to get along with, cooked some great meals and were all round easy people to have around. I highly recommend them to… read more any host. We had the best time staying with JJ and Richard. They are both really nice and easy to talk to with so much knowledge, while we were there we learnt so much about permaculture and living a more environmentally conscious life. The work is very structured so we always knew what we were doing that day, plus Jj is always around to ask questions if… read more needed. There was plenty of free time after lunch so we were able to explore the area Nathan spent a lot of time learning to surf at the beach just a few minutes walk away. We loved our time in the Northern Beaches, we hope to go back one day! Kira and Annabel were fun to host. They are a little quiet but very friendly. They were good workers who followed instructions well and enjoyed their work in the garden. They took part happily in their share of the cooking and cleaning and did make delicious avocado dressing!! They fit well into our household. I would recommend them to hosts. We have hosted Will a couple of times! Once he came on his friend's recommendation and once because he was escaping a workaway experience that didn't fit! Anyway Will is great fun to host. He follows instructions well, likes to think about how things could be done better and to use his problem solving abilities. He has a good memory mostly, which… read more is kind of lacking in some other folks of his generation! He happily does extra tasks when asks and makes a good effort with his share of the cooking and cleaning. He also loves a good discussion on challenging topics! Brooke was really fun to host. She is one of the friendliest and most open and honest helpers we have hosted. She is really easy going and did lots of extra stuff around the house and in the kitchen when we were done in the garden for the morning. She follows instructions well and also takes feedback really well if corrected or reminded about… read more something. I would highly recommend her! JJ and Richard must be the greatest hosts in all the land! Sharing is second nature to them, and because of this there is a warmth that permeates the whole home. The work is fulfilling and not overly strenuous, and if you've got an interest in gardening you will strike gold staying here. A pantry full of organic food, rooms with ocean views,… read more surfboards aplenty...you'd be hard pressed to find any qualms with their place. Mathilde was a really good worker. She followed instructions well and asked for clarity when needed. She is reliable and easy going. She was proactive in seeking resolution when having some difficulties with one of the other helpers and came and explained her side of the story. She was easy to have in our home, she is quiet but friendly and… read more happily took her share of cooking and cleaning up. I would recommend her as a helper. Taylor (Catherine) and Bryon were great fun to host. They were super interested in permaculture and were great workers. They asked questions where needed and just got on with things when given tasks. They were self motivated and enthusiastic. We really enjoyed their company and their quirky New York humour! They were a good match for us and ended… read more up extending their stay for a few weeks extra. I can not say enough about JJ and Rirchards' hospitality and knowledge of permaculture. My boyfriend and I spent around 8 weeks with them and found it to be such an enjoyable experience. We were both sad to leave as they welcome you into their home as if you were part of the family. Their beautiful permaculture sanctuary sits overlooking Bungan… read more Beach so you wake up to the sound of the waves and sunrise everyday, and the view never gets old.. neither does the honey supplied by their wonderful giving bees! The work is 5 hours a day and JJ is willing to really put in time with you so you are not only helping but really learning how and why everything is done. 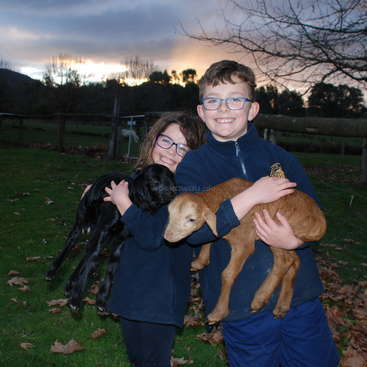 You get to learn about chook keeping, worm farms, bee keeping/ honey harvesting, aquaponics, planting, harvesting, compost, fermentation, rat trapping, and the list goes on. If you are interested in it JJ and Richard will make sure they share as much information as they can on any topic. Meals are fun at Bungan Beach as you alternate cooking days, and get to use your harvest to pick what will be made for dinner and try out different recipes. The kitchen here is amazing and they generously supply you with endless organic foods and ingredients. There is so much that you learn once the harvest is brought into the kitchen to, which is really great. You learn what to do if you were to grow in volume and how not to waste your work making different ferments, pestos, chutneys, cashew cheeses, mead, and canned veggies. While visiting we were allowed to use their surf boards and bikes in our free time and Richard even took us out surfing to give us pointers and push us into waves as we were both beginners which was so kind and helpful. This workaway was not only such a fantastic learning experience but an all around fun time with great energy and a warm welcoming family. We would recommend it to anyone, and hope to be back someday! Katie and David stayed with us for 5 weeks. They were really great helpers. They listened well, followed instructions and reliably remembered to do the daily tasks allocated to them. They worked well as part of a group of helpers and also on some projects we allocated just to them. They were great at taking initiative and making suggestions about… read more how processes could be improved. They have very good skills for gardening and general fix-it tasks around the house and garden. They can trouble shoot and problem solve. While they were here they were also working on fitting out their van. They worked hard on this but it never got in the way of them doing all their allocated tasks. They cooked some really yummy meals while they were here too and were always willing if asked to do anything extra. I would love to host them again and highly recommend them as helpers. Our 5 weeks stay with Jayatma and Richard was incredible! They are so welcoming and you immediately feel comfortable when you walk into their home. The welcoming was nice and not rushed-we had plenty of time to settle into our ocean view bedroom and time to become familiar with the house and the gardens. The work is very interesting. Everyday we… read more learned something new and Jayatma is always eager to answer questions and explain how things work. Some of the jobs we had included watching over the chickens and cleaning their coop once a week, feeding fish daily, harvesting trout from the aquaponics pool, harvesting honey from their bee hives, weeding, turning compost, treating planting, preparing garden beds with new soil/compost, and preparing dinners. The work begins at 8:30, and finishes around 12:30, then everyone works to prepare a group lunch. Dinner is generally ready around 6:30, and is prepared by helpers and rotates on a daily basis. (One night you might cook, the next you might clean, or another day you might help the person who is cooking). In your spare time you can go to the beach which is super close to the house. It's about a 3 minute walk down a hill. The beach is quiet and peaceful and is a great spot for surfing. Jayatma and Richard, we cannot thank you enough! Without this opportunity, we would not have been able to prepare our van in order to be able to discover this amazingly beautiful country! We will always remember the experience and would love to come back and visit one day. We learned so much about your way of life and will cherish it for a life time. I stayed with JJ and Richard for 4 months and still didn't feel ready to leave! They are so kind, have an amazing home/garden and the work is always enjoyable. I learned so much during my stay, not only in the garden, but also in the kitchen (thank you JJ for teaching me so much, and thank you Richard for your honest reviews). I have done quite a… read more few Workaways, and nothing comes close to this one! I can't thank you enough for the experience, and for the constant supply of oats and black rice :) I miss Bungan already and would definitely love to come back and see everyone- especially little Kiko. Sophie stayed with us for 4 months, our longest ever helper.....she turned up with a friend and was planning to stay for a month, but somehow could never seem to leave, even after her friend did! That was lucky for us as we loved hosting her. She fit in really well and was a great addition to our household. She was a great worker who followed… read more instructions well and could work alone or with others. She was happy to work hard and get dirty! She is a vegan but as she is a very non-fussy eater it was easy to accommodate her, as she was happily satisfied with very simple food.....some mashed potatoes or porridge (even for lunch)! I would happily recommend her to anyone as a great helper. Staying with JJ and Richard was such a wonderful learning experience, if you are interested in learning about permaculture (and surfing!) I would highly recommend them! The gardens that have been created in the space they have is wonderful, and their aquaponics system is really impressive. 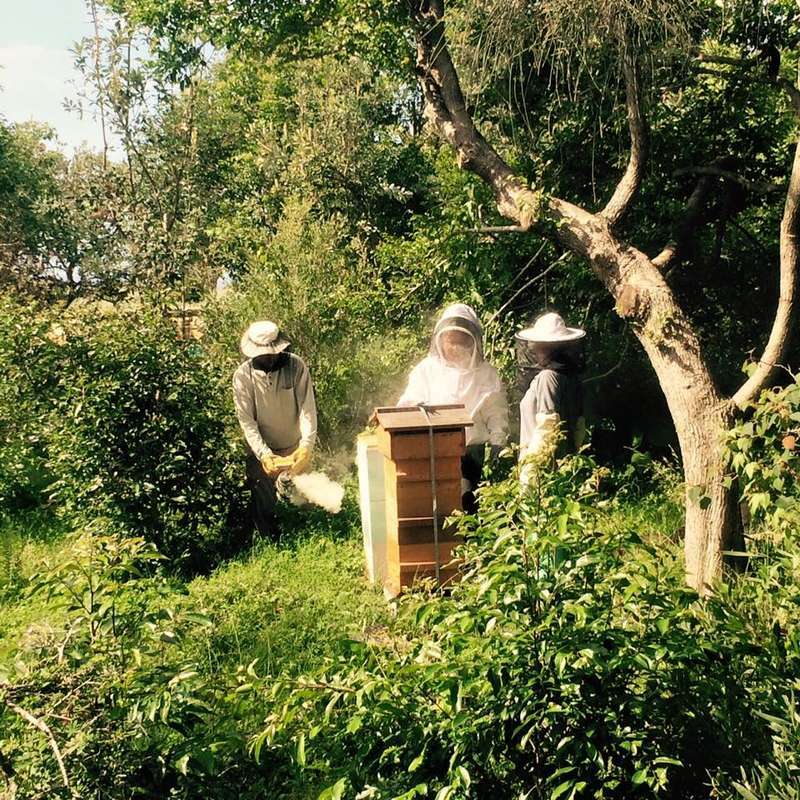 JJ also has a wide variety of beehives and we fell in love… read more with bee-keeping after staying with them. Learning first-hand about how the different types of hives work is an experience we will never forget. They are friendly, well travelled people and in a beautiful location right on Bungan beach. Richard was even kind enough to lend us some surfboards and give us a beginners lesson! Kyle and Alicia were really fun to host. They are easy going and friendly. They are deep thinkers and we had some good discussions. They were great workers and followed instructions well. They cleaned up after themselves and were great around the house. Elijah was one of the best helpers I have had. Everything he says in his profile is true! He is very friendly and fit into our family like he had been here forever. He is one of the easiest people we have ever lived with. He follows directions very well and was always willing to do any extra tasks. I usually don't take single males, but Elijah… read more wrote the best application anyone had ever written and I was so glad that I put aside my usual rule to host him. Thanks heaps Elijah! We miss you....sorry for the late feedback! Hope all is well with you. Leo and Ro were great helpers. They listen well and follow instructions. They are very practical, especially Leo, he has good problem solving skills. They cooked nice food for us and were great at garden and other tasks. I am deeply grateful for my time here. Not only have i learnt so much about permaculture, organic gardening, & eating amazingly well , it's also taught me how to live as part of a little community, and it's done wonders for my personal development! Richard & JJ have such a beautiful respectful, loving, relationship with each other. 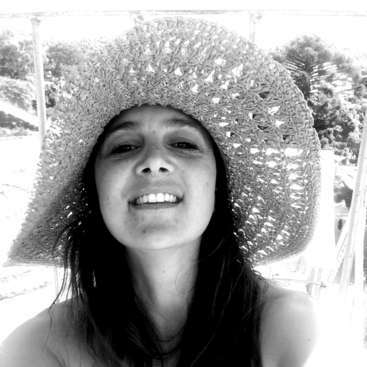 They are such… read more a kind, generous & easygoing couple & JJ loves to share her extensive knowledge & her experiments in the amazing garden. It really is a paradise here. Work on the 'sanctuary' is fun, varied & you will learn so much on so many levels. Oh & did I mention the food is incredible!!!! Pam is a great helper. She is very friendly and easy to live with......and we know as she lived here for a year and a half! Pam is very gentle and great with animals. She loved our chooks heaps and took great care of them. Pam is also great with kids. Jon and Adriana are excellent helpers. They are willing to do any job given. They are very capable and learn quickly. Adriana has very good english, Jon is learning and tries very hard to understand. His english improved a lot while staying with us. Jon and Adriana were always punctual for their work times and also worked a lot of extra time. Jon… read more is an excellent cook (we miss his cooking) and Adriana is very good at helping in the kitchen and both are very keen to learn new ideas for food and share their skills and knowledge. Both are very friendly and easy to get along with. They were no trouble to host, they were a pleasure and we miss their company! We had an amazing time at JJ's and Richards place and made great memories! They were most kindly taking us in into their wonderful home. The work we did in JJ's impressive garden, offered us an idea of a responsible and fulfilling way to live alongside nature. We enjoyed cooking and dining in a healthy and delicious way the most and are really… read more grateful for everything we learned. The relaxed and peaceful everyday life at JJ's and Richards home gave us lots of opportunstes to experience the beauty of the nothern beaches, spending sunny times in the green and having great conversations and fun everyday. We couldn't have imagined any better place to stay on our journey. Thank you so much! Pamela and Renka were excellent helpers. They are great cooks, tidy up after themselves and are very reliable. They were a little shy at first, but once they get to know you they are very friendly. They follow instructions very well and can be left with a list of jobs for the day if you cannot work with them. They are strong and very thorough in… read more their work. They got the hang of all our gardening jobs, including the dirty and smelly ones! They are fun to host and got along well with everyone in the house. We miss them and hope they will come back to visit one day! Johannes and Steffi were great helpers. They are reliable and hard working. They were very easy to host, they cleaned up after themselves and were no trouble. Good luck with the rest of your travels, Steffi and Johannes. which is very close to a lonely beach for the locals in that area. rest of the day at the beach (bodyboarding or surfing) or exploring the nice spots round newport. more over it was a… read more good experience to get a view into another kind of lifestyle. we felt very well and JJ and Richard offered to help us in different situations. thanks for the good time and all the best for your future plans!! Gavin and Roisin are excellent helpers. They stayed with us for over 2 months. They are in a rare group of people who know intuitively how to best fit into a household and go with the flow of how things are done there. They work hard, are easy to be around, clean up after themselves and are very responsible. They were happy to do all kinds of… read more work, dirty, hot and otherwise! They were a pleasure to host and I would gladly have them back again. Yaa is a wonderful young woman. She definitely does listen to instructions and does whatever is required of her. She works super hard, competing with her sister Ako and friend Nadine to see who can work hardest and get the most tasks done.......Yaa usually won in the kitchen!! She is a great baker, coming up with all kinds of creations working… read more with whatever is on hand. She is very friendly, easy going and fun. Along with her sister Ako and their friend Nadine they were the best helpers I have had (and I have had some great ones)! I highly recommend all 3 girls and would have them back any time. JJ and SS were fantastic hosts! I learned so much during my stay with them and have many great memories to take with me! I really enjoyed the work in the garden and with the 5 lovely lady chooks :) Jay Jays healthy cooking is veeeery yummy and she has really opened up my eyes to a more sustainable lifestyle and creating beauty out of the most… read more simple things. Her passion for life is contageous and I would recommend staying with her and her partner Richard (who is very funny and easy going) to anyone looking for a beautiful adventure on the outskirts of Sydney! Big hugs to the two of you!! Nadine was a great helper. Very friendly, easy going, reliable and a good worker. She loved looking after our chickens, was a great gardener and also good in the kitchen. We had some interesting conversations and really enjoyed having her and her friends Ako and Yaa at our place. They are all lovely, creative, sensitive girls with a passion for… read more making the world a better place. I highly recommend them all and we would be happy to have them back any time! Jay Jay and Richard are fantastic hosts! from day one they welcomed me into their home with pure trust and love. I had a really enjoyable experience with them full of laughter and beautiful lessons. They are extremely respectful and understanding and their desire to help people is admiring. The house and garden are beautiful and there are plenty… read more of opportunities to enjoy nature peacefully and to find yourself spiritually. I feel truly blessed to have met them. Love you guys and I wish you all the best in life! maybe I'll join you on your next sailing trip, you never know! Akosua (Ako) was a great worker. She definitely is strong, she could turn our compost bin better than any guys have! She is really good in the garden, always looking for the best way to do things. Ako is a great cook and can adapt to whatever ingredients are on hand. She and her sister Yaa and friend Nadine were a pleasure to have at our house,… read more they are intelligent girls who are open minded and interested in other peoples way of life. I highly recommend them and would be happy to have them back any time! Gaelle and Constance were great helpers. They are very friendly and willing. Happy to do even dirty tasks in the garden. They loved looking after seedlings (baby plants as we called them) and were very good at transplanting. They enjoyed all garden tasks and were also very good in the kitchen. They are reliable and can work well without… read more supervision. They were a pleasure to have at our house. They are welcome back any time. They are a very nice couple. The location and the house are so beautiful and a perfect place to stay. The work is very interesting and we learned a lot. The organic food is so delicious. We stay 3 weeks and we were never boring. Sydney is near the house (1 hours in bus, less with a car). Thank you for all, it was a good experience. J and family were great hosts and I really enjoyed my time with them. They were very generous and welcomed me in immediately. The location was amazing and the work was very reasonable (I'm a possum-proofing pro now!). I learned a lot about permaculture and gardening! The food was healthy and delicious and I would highly recommend staying with… read more them if you get the chance. Good luck with the garden transformation! Can't wait to see how it turns out. Momo (Maurice) was great fun to have at our place. He is an easy going relaxed guy who is really easy to get along with. 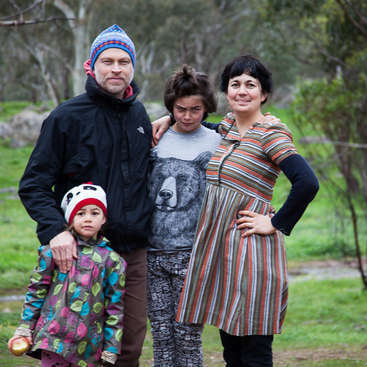 Learn about Light Earth Building, and help us with our kitchen garden, bread and yogurt making, tree planting and seed sowing outside the beautiful town of Daylesford, in Victoria, Australia. 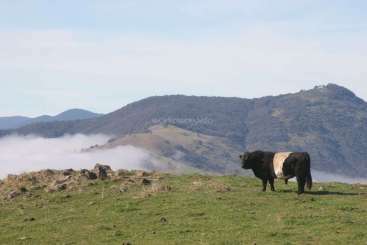 Learn and help on our farm in the beautiful Tallangatta Valley, Victoria, Australia. Live with us in a beautiful area of Western Australia.